BlackBerry PlayBook owners, we bring you good news. It looks like the recently launched PlayBook OS 2.0 will not be the last major update that the tablet is going to be treated to. That is because the PlayBook will be getting an update to BlackBerry 10 at some point. And this is no rumor we are dealing with here. 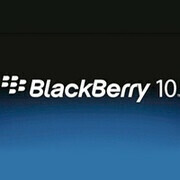 Word comes straight from RIM Vice President of product management Rob Orr, who stated that the new software will be pushed to BlackBerry PlayBook tablets after the launch of the first BlackBerry 10 smartphone. However, don't get too excited just yet as it will be quite a while before you get a taste of the new and improved platform. The first BlackBerry 10 smartphone is expected to hit the market "towards the end of 2012," meaning that the new software might make its way to PlayBook tablets no sooner than next year. And that RIM likes to take its time when releasing software updates does not make things any better. Orr did not go into details and did not give any clues regarding RIM's upcoming devices. What kind of improvements the new platform will bring is not totally clear either. On the other hand, it is said that BlackBerry 10 will support Android applications, and we kind of know what its interface might look like. Great news, patiently waiting for it. BB please do not disappoint us.